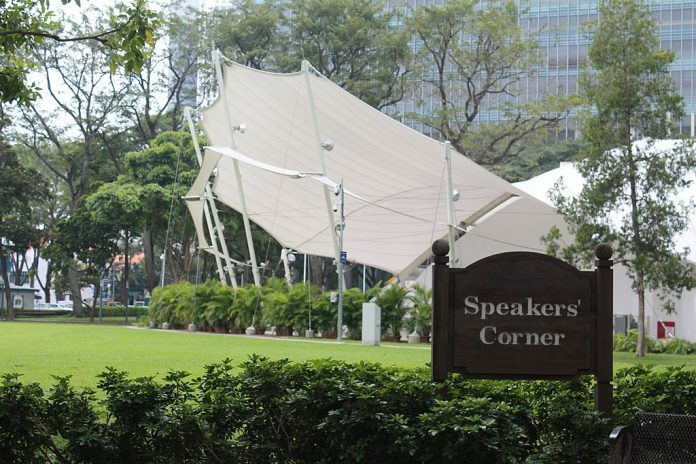 Initially set for this Saturday at the Speakers’ Corner in Hong Lim Park, the protest event against this year’s Reserved Presidential Elections has been cancelled. The planned protest already had eight speakers lined up to debate about the contentious issues surrounding the elections. Following the submission of the event’s permit application two weeks ago, the outline of the speeches were then handed in. Topics covered in the speeches include why the PE should not be reserved for the Malays, and why there is even a need for a President in Singapore. 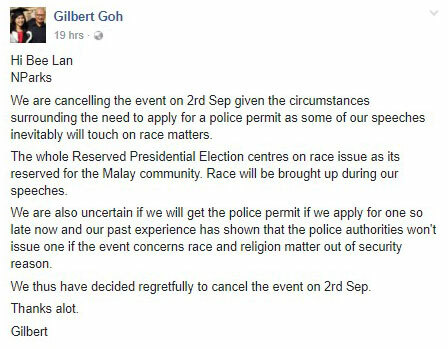 Social activist Gilbert Goh, who is also the organiser for the event, announced in a Facebook post last night that the event will be called off. 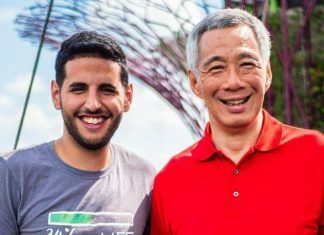 In an interview with The Independent, he said that he did foresee such an outcome as race is a sensitive topic in Singapore. 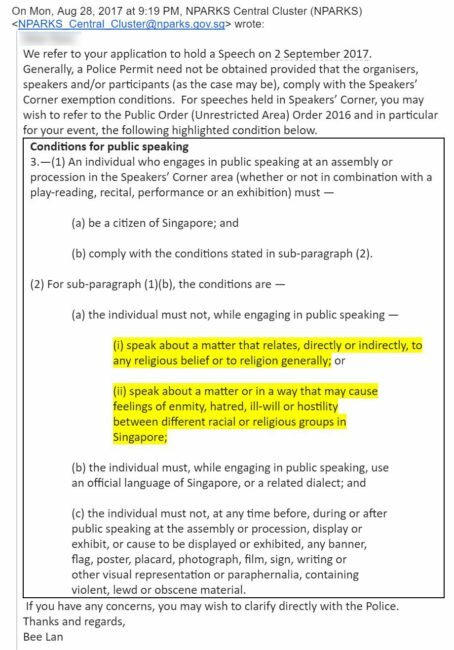 As police permits typically require a two-week long wait, even if an application for the permit was submitted now, there will not be any time left for the protest to take off before Nomination Day on 13 September. Although the event has been cancelled for now, Goh plans to postpone it to an indoor venue at a later date.